Nancy’s How to make Vanilla Twinkies at home! 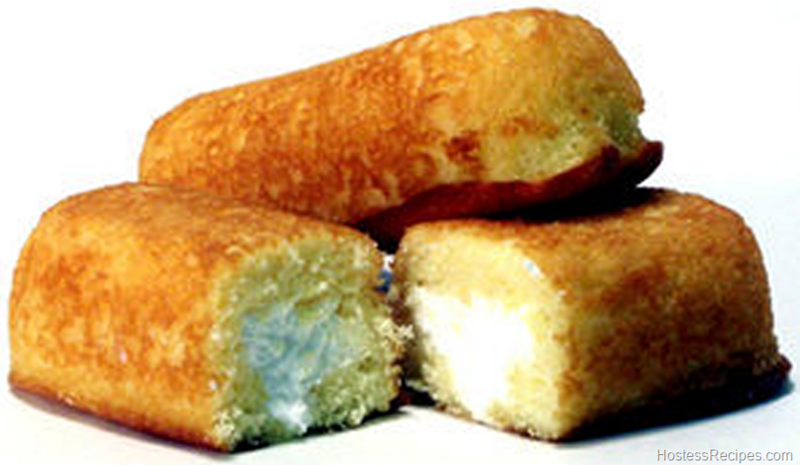 Twinkies has been famous for decades. It’s a long lasting snack good for traveling, picnics, parties, movies… just about for anything! 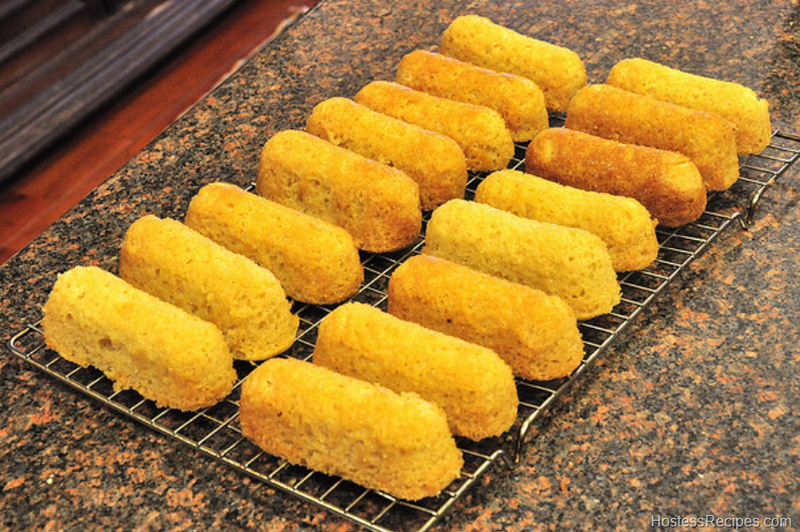 We are going to teach you how to make your own Twinkies at home with the easy directions below! From the sweet gooey filling to the sponge cake covering we will show you the secret recipe from start to finish, Have Fun! 1. Get a large bowl and combine the sugar, flour, baking powder, and salt. Create a hole in the middle (like a well). Then add the egg yolks, water, oil, and vanilla. Mix everything together until you get a smooth mixture. Put the bowl on the side. 2. Get another bowl and mix the cream of tartar with the egg whites. Beat them together until you get a stiff peak. 3. Take the egg yolk mixture and pour it into the first mixture you made. Mix everything until all the ingredients are well combined. 4. Pour the final mixture in a 10 x 14 pan; don’t need to grease it. Place it in the oven at 350ºF/180ºC for about 45 to 50 minutes. 5. Let the cake cool on the side. 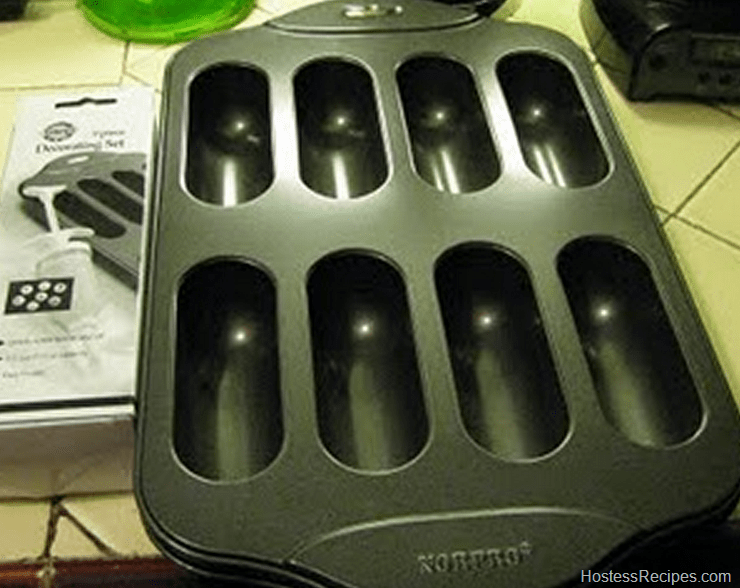 Turn the pan upside down as you get it out and then take the edges off with a knife. 6. Carefully cut the cake horizontally to get two layers. 1. Get a bowl and mix the sugar, flour, and butter together. Beat for five minutes on a high speed and slowly mix in the vanilla and milk. 2. Continue beating everything together for another five minutes. 3. Take the filling mixture and spread it on the two cake layers. 4. Cut the cake into small squares (about 3 x 1 inches). Wrap the individual pieces in Saran wrap. Instead of cutting the cakes horizontally just get a pastry filling tool and put three holes in the bottom of the cake and fill.